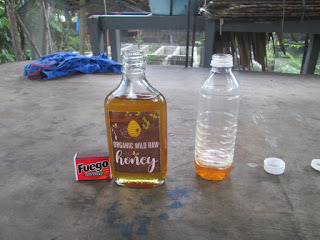 In the Philippines buying a bottle of honey is not as simple as going to the store and buying a bottle of honey. It's a bit more complicated. 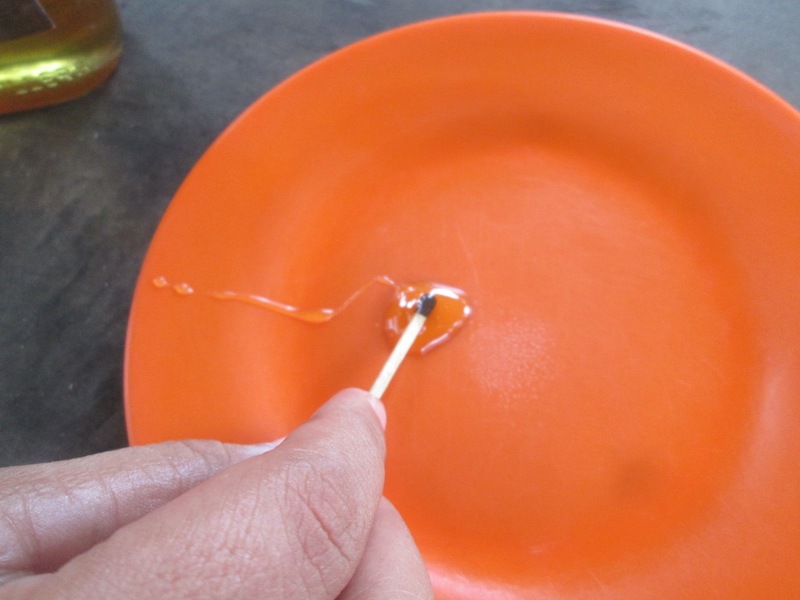 Most of the honey sold in stores is fake honey-flavoured syrup. But you wouldn't know that unless you examine the bottle real closely. No way is that a liter of real honey. Ha! Told you so! How was someone able to purchase this bottle from a store when there is an FDA warning about consuming this product? 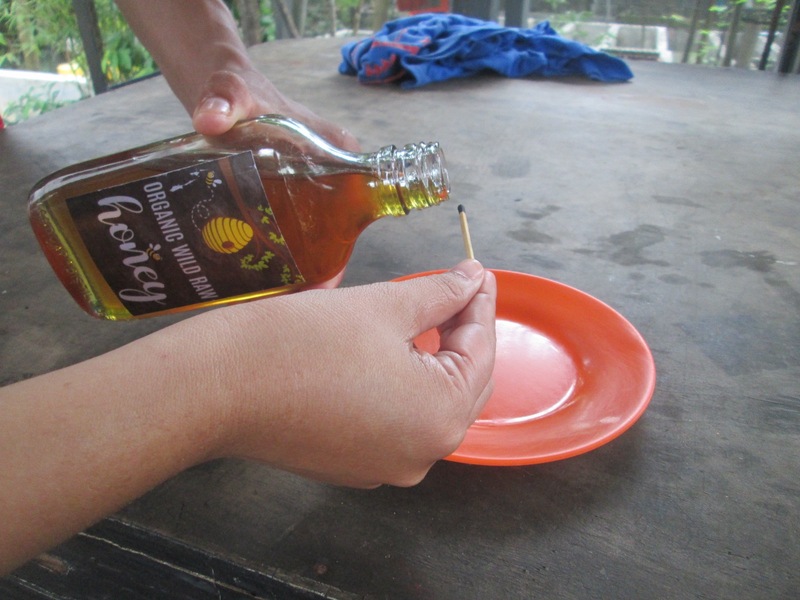 In the Philippines whenever you buy honey you have to test it to make sure it is the real deal. Testing the authenticity of honey involves calling on the powers of the elements, specifically water, air, and fire. You can't rely solely on your sense of sight or taste. 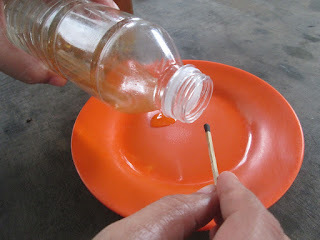 If honey is poured into water it will not dissolve. If the honey is fake it will dissolve. 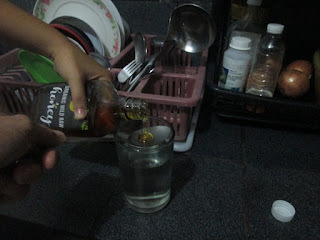 But if real honey does not dissolve in water then it won't dissolve in coffee. Doesn't that defeat the purpose of buying real honey which is to sweeten my coffee? On with the test. 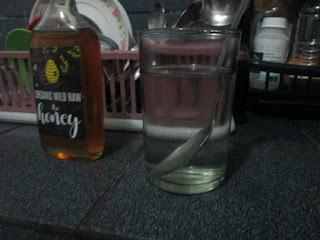 Conclusion: The honey dissolved so its fake! Right? Wrong. The test was inconclusive because I put a few drops of real honey in a glass of water and it too dissolved. I did not document that test. 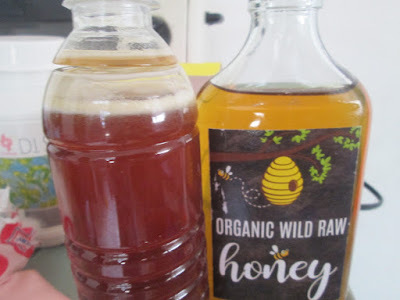 If you put fake honey in the refrigerator the cold air will cause it to thicken. Real honey won't be affected. 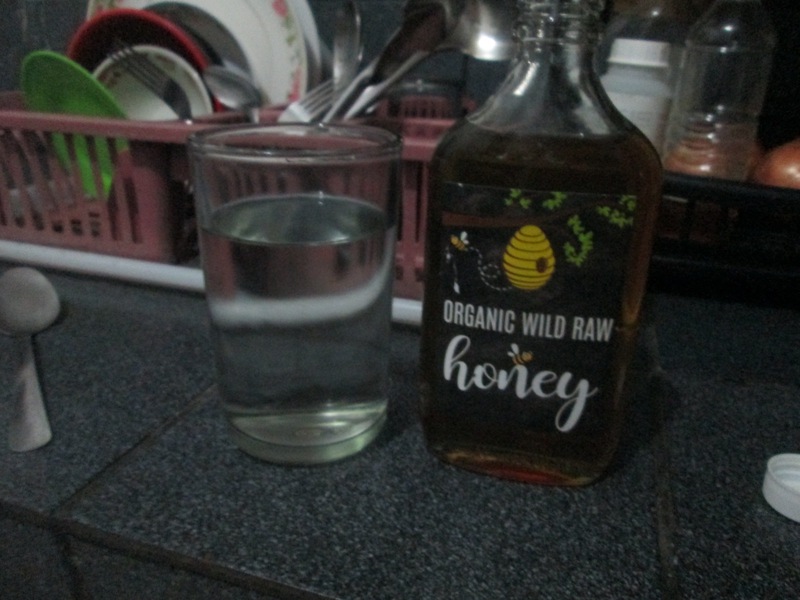 The contents of the bottle of "Organic Wild Raw Honey" have thickened considerably after spending a night in the cold refrigerator air. 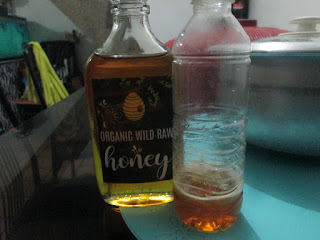 The contents of the smaller bottle of real honey are still rolling around in the bottle as if they have been unaffected by the cold air of the refrigerator. Conclusion: The bottle of "Organic Wild Raw Honey" is likely fake. I say likely because these tests are in no way scientific. 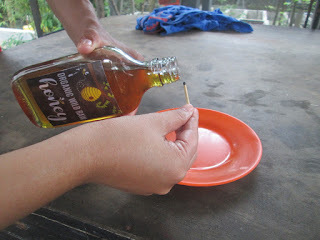 This is alchemy! Result: Failure. 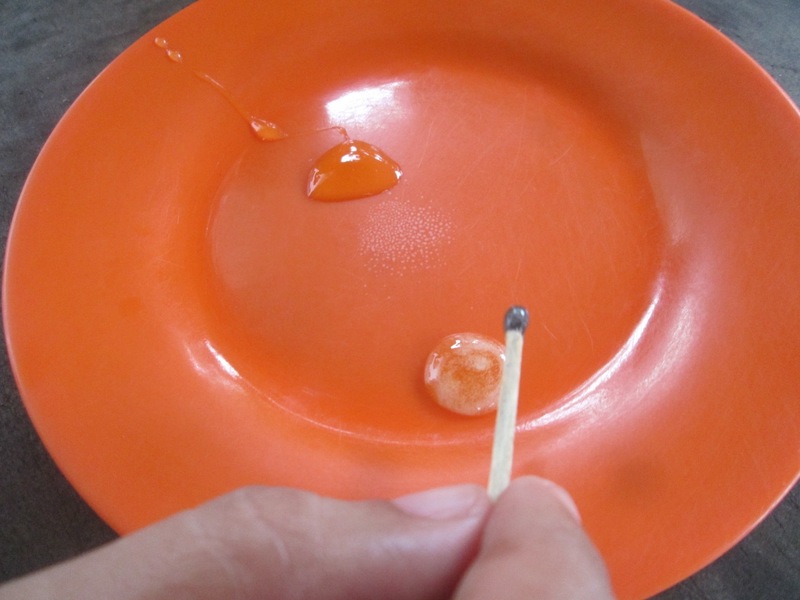 The match covered in "Organic Wild Raw Honey" took nine strikes until it burned. Result: Success! "Just one!" Just one strike and this match covered in real honey burned. Conclusion: The bottle of "Organic Wild Raw Honey" is likely not real honey. It's almost certainly fake. 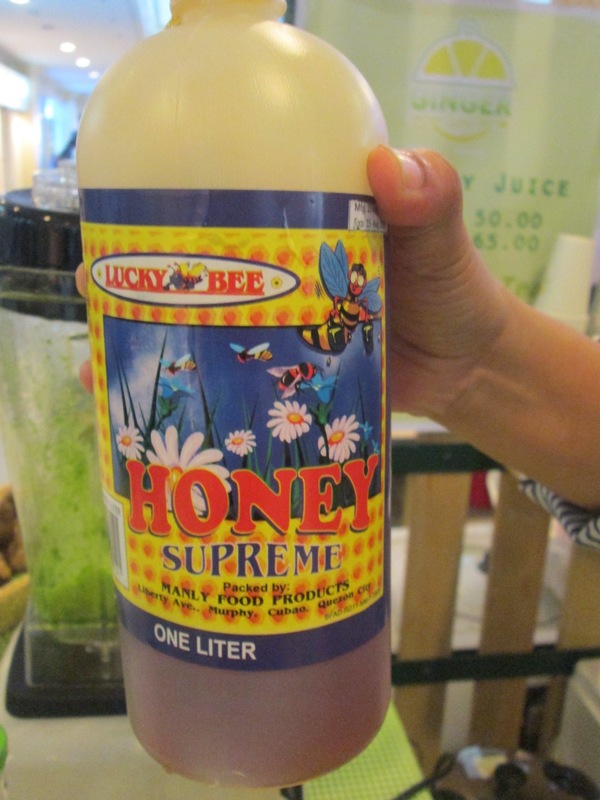 There is enough reasonable doubt to acquit this bottle of honey from being pure. Real Conclusion: This is ridiculous! 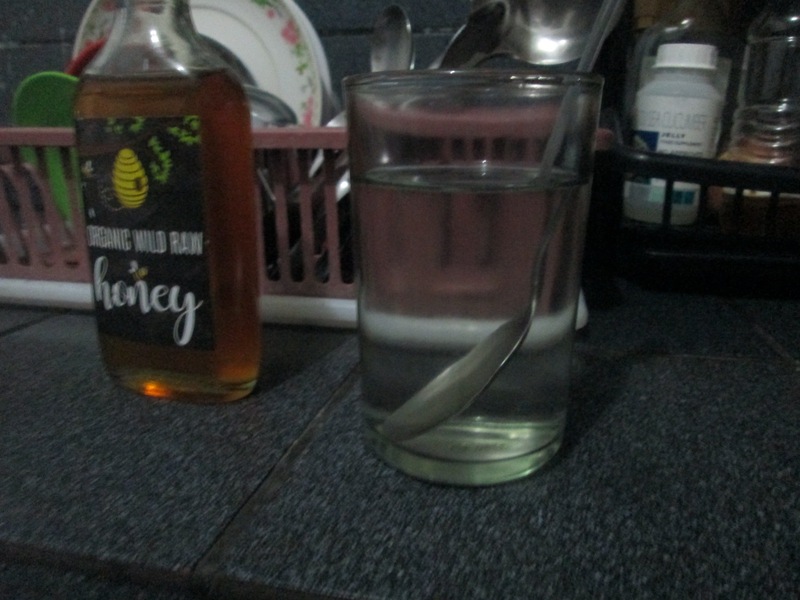 Why do I have to go all Harry Potter and use alchemical wizardry to determine whether or not the bottle of honey I just bought is real or fake? No! I am not a wizard, nor was meant to be. I want to buy a bottle of honey and not have any doubts in the back of my mind as to its purity. But this is the Philippines and it is the land of the fake. 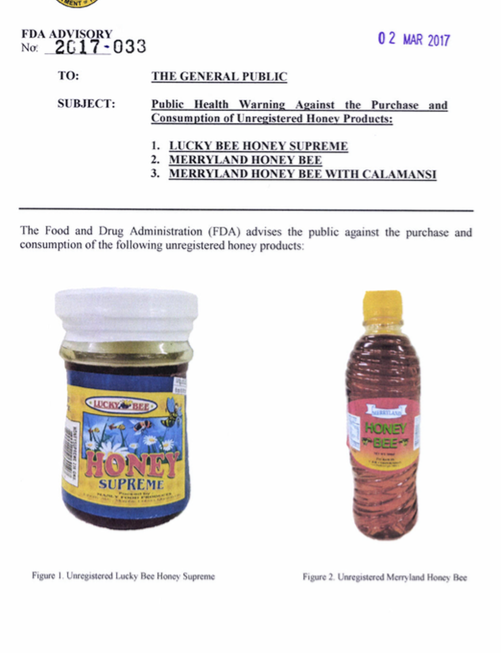 Fake diplomas, fake attorneys, fake dentists, fake doctors, fake cures, fake rice, and fake honey. Fake honey is just a symptom of a much larger problem in the Philippines: the willingness to swindle people for a quick profit.